Hop to it! 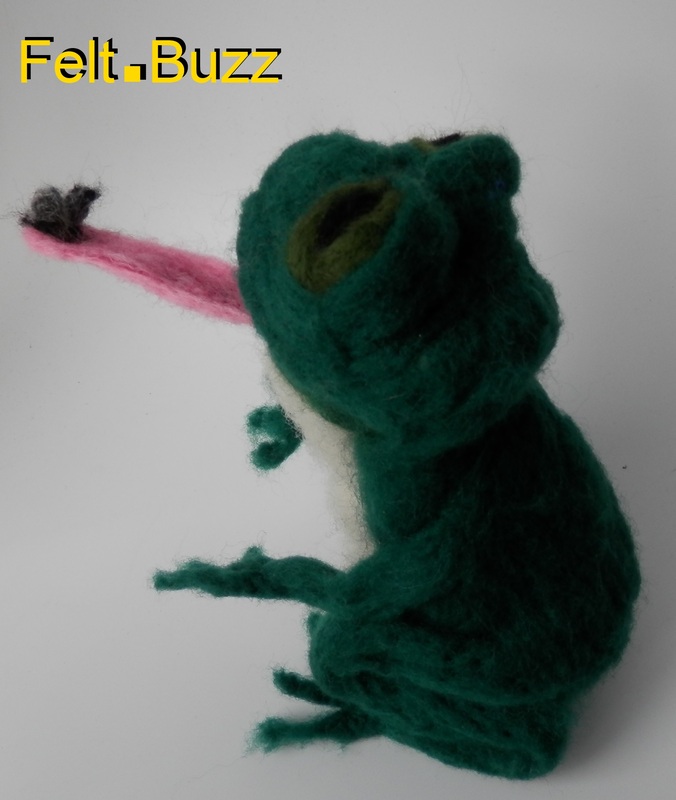 Meet Broga the frog! 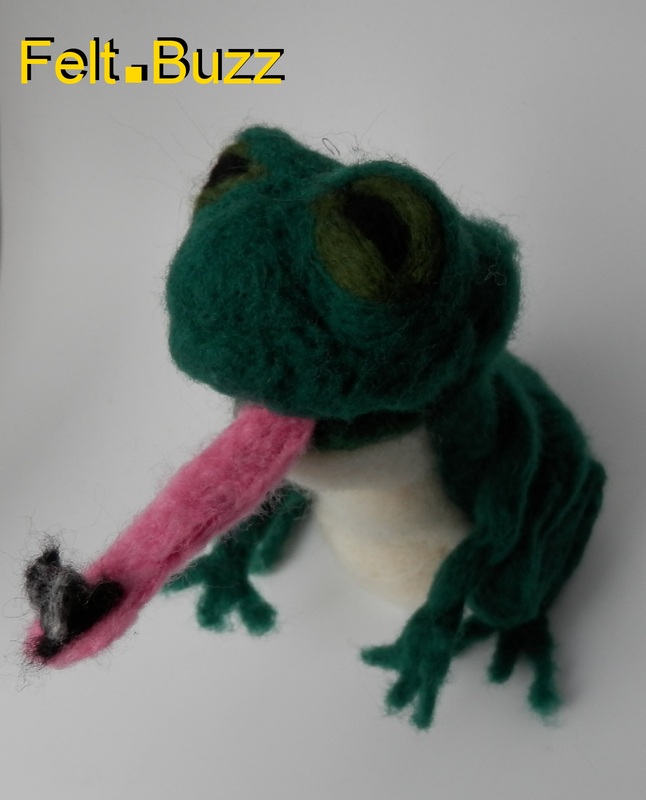 This is Broga, a frog I created late last night (finishing touches this morning). 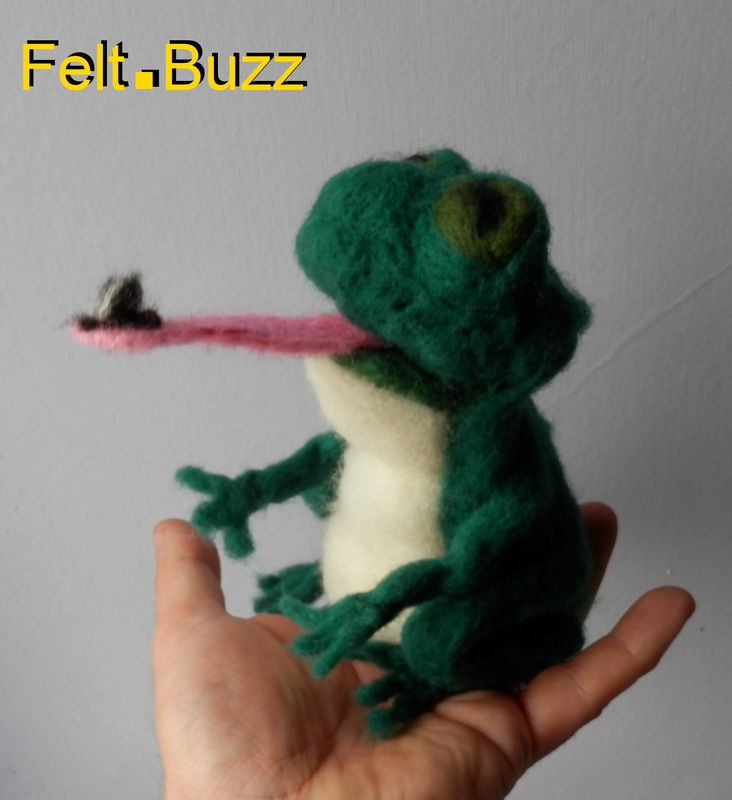 She is needle-felted, can sit by herself on a shelf or desk, or can be used as a finger puppet. 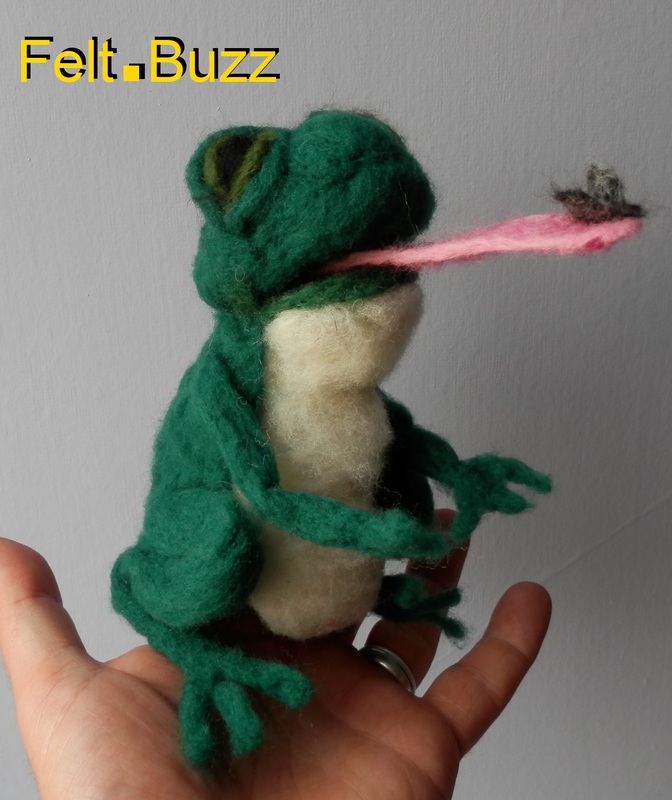 Broga will be on sale on the Felt.Buzz Etsy shop soon. Contact me via facebook, email or Tsu (or leave a comment here) if you are interested in a made-to-order handmade finger puppet.